Buy the newest acrylic paint set with the best sales and promotions. Find cheap offers for acrylic paint set in our online store. This six colour set contains the standard NATO colors to paint German vehicles (and other NATO troops deployed worldwide). Also includes the three colors of the Bundeswehr camouflage in desert theathers. The colours within this set are true to the actual colour with a little modification for scale effect. These acrylic paints are formulated by MENG and AK-Interactive under the most exact parameters. We recommend MENG thinner for use with this product. 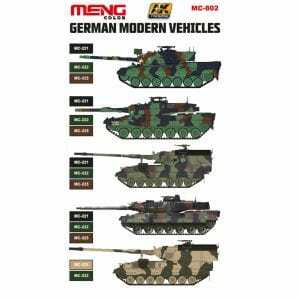 This six color set allows to paint the different WWI schemes of the German Army vehicles. Includes the special color Field Grey to paint many interior parts, not only for the German Army but for other Armies as the French Army. 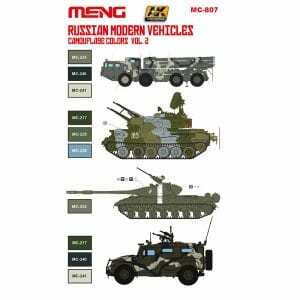 This six color set allows to paint the different modern Russian vehicle schemes. This set can be used combined with the second volume to complete all the colors for the vehicles of the Russian Army and armed forces of many post-Soviet states. This volume 1 includes the three colors needed to achieve the desert colors of the Russian Army. 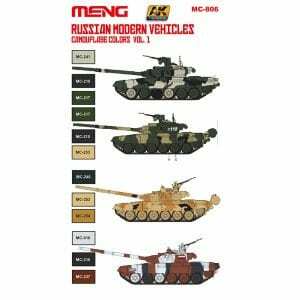 This six color set allows to paint the different modern Russian vehicle schemes. This set can be used combined with the first volume to complete all the colors for the vehicles of the Russian Army and armed forces of many post-Soviet states. These colors are also valid for the vehicles used in the late Soviet era. 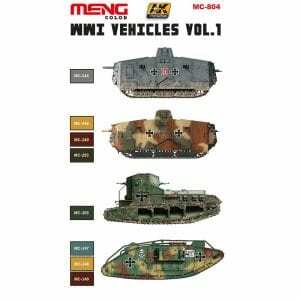 This set offers six colors that are essential for painting Japanese Army vehicles used in the early period of World War II before the Japanese Army weapon camouflage instructions were given in 1942. These acrylic paints are formulated for both brush and airbrush use, and they are soluble in water. 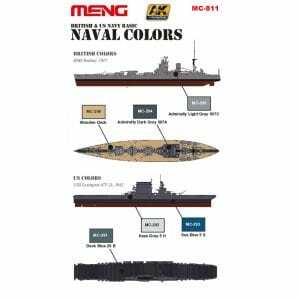 Color set for warships developed under MENG requirements to paint the basic colors of the American and British fleets in WWII, which is a perfect complement for MENG’s new references and any naval modeler. The colors within this set are true to the actual color with a little modification for scale effect. These acrylic paints are formulated for airbrush although they can be used with brush too, and they are soluble in water. These acrylic paints are formulated by MENG and AK-Interactive under the most exact parameters. We recommend MENG thinner for use with this product. 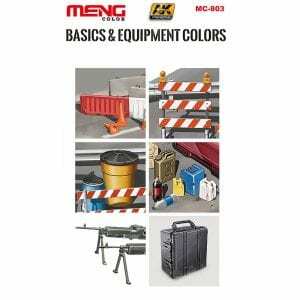 This set of 6 colors in Meng SERIES line have been specially designed and formulated to paint the new U.S. stealth camouflages. 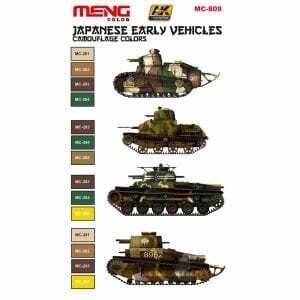 To ensure historical accuracy of your finished model Meng paints have been designed taking into account the Scale Reduction Effect. All of these colors have been carefully studied by historians and formulated to accurately represent the colors.